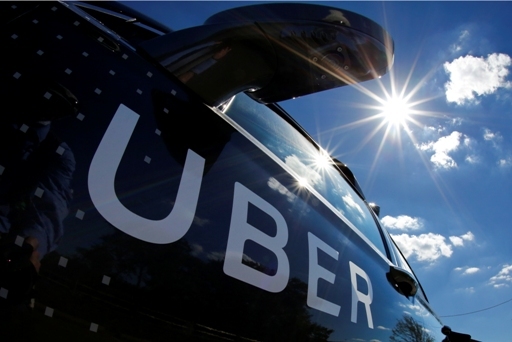 SAN FRANCISCO (CN) – A federal judge on Wednesday told Uber’s in-house lawyer she could be in trouble for allegedly hiding key evidence in a case accusing Uber of stealing self-driving car technology from rival Waymo and delaying a high-stakes trial over the theft. U.S. District Judge William Alsup ordered Angela Padilla, Uber’s deputy general counsel of litigation and employment, to testify about the evidence at a hearing in San Francisco Wednesday after allegations surfaced a day earlier that Uber had set up a covert intelligence team to steal trade secrets from Waymo and unnamed competitors overseas. The allegations, made in a sealed demand letter sent to Padilla by an attorney for former Uber security manager Richard Jacobs after Jacobs was forced to resign, was obtained by the Justice Department in an unrelated criminal investigation into espionage by Uber and sent to Alsup on Nov. 22. Padilla testified she did not show the 37-page letter to Uber’s in-house lawyers handling Waymo’s suit on trade-secret theft claims or to Uber’s trial counsel. Instead, she “escalated” it to the company’s compliance team, which opened an internal investigation into the veracity of Jacobs’ allegations. The compliance team told Padilla not to disclose Jacobs’ “wild” and “fantastical” allegations until they were substantiated out of concerns of tainting the investigation, she told Alsup. Waymo sued Uber and co-defendant Ottomotto, a driverless trucking startup founded by its former engineer Anthony Levandowski, this past February. The Google spinoff claims Levandowski downloaded 14,000 of its trade-secret files before resigning in January 2016 to start Ottomotto, and that Uber quickly struck a deal to buy the company and hire him to build autonomous vehicles using Waymo’s technology. Levandowski is not a defendant in Waymo’s lawsuit against Uber, but he faces a criminal probe stemming from the allegations. Padilla denied an effort to cover up the letter, reiterating she was instructed to not share it outside the compliance team. According to testimony given by Jacobs on Tuesday, the letter also revealed Uber stores its competitors’ trade-secret information on computers that bypass its servers, and its employees communicate about the information using Wickr, an encrypted messaging application that erases messages after a certain amount of time. Uber says it is innocent because Waymo’s trade secrets never made it to its servers; multiple searches failed to find any. But the letter, portions of which were read aloud in court, states Uber used the tactics to keep trade secrets off its servers so it could avoid disclosing them in civil and criminal cases. Padilla also testified Uber voluntarily disclosed Jacobs’ letter to the Justice Department in June to “take the air out of his extortionist balloon.” She said he was fired for downloading confidential documents to his personal email account so he could blow the whistle on Uber. His lawyer’s letter says he was demoted and then fired for not cooperating sufficiently with Uber’s policy of hiding evidence from discovery. “It undercuts this notion of an attempt to keep this document secret,” she told Alsup. He shot back: “I bet you [O’Melveny attorney and former federal prosecutor] Damali Taylor, who was in that office, told you no way the U.S. Attorney in the history of the world would turn that letter over in civil litigation to us. Alsup has delayed the trial, which was set to begin Dec. 5, so Waymo can gather more evidence about the allegations. He asked Uber to produce the names of every employee who uses Wickr, but warned Waymo that it could lose the upper hand if it uses similar services. Now set for Feb. 5, he suggested Waymo could win the trial based on Uber’s use of Wickr. “You’ve made it a mess of what would’ve been a decent point. Now it’s going to get clouded in the atmospherics,” he told Uber’s trial attorneys of their argument that no trade-secret files had made it onto their client’s network. Waymo is represented by Charles Verhoeven of Quinn Emanuel Urquhart & Sullivan, and Uber by Arturo Gonzalez of Morrison & Foerster.